Last September, my Dad surprised me and came up to Oregon for my birthday. He loves to hit the road in his shiny black Corvette, and HWY 101 from the Bay Area is a road tripper’s dream. For the first few hours you wind through hilly emerald green pastures dotted with boulders, cows and sheep; the countryside, we discovered on our travels looks a lot like northern Scotland. Next, you drive through lush valleys packed with conifers, which eases your mind about the shortage of trees, and then quite suddenly, the road spits you out along the coastline. Here you can get out of your car, walk barefoot through the soft, white sand, get your feet wet enough to realize how bloody cold the water is, then hop back into your warm car and continue on. 101 then rolls you up hills that become thousand foot peaks, where you can stop again and take in the Pacific Ocean in all her majesty. Oh it’s beautiful up there! The cliffs are breathtaking and from that height, the ocean appears to be broken up in lines like desert sands; each line introducing different shades of green, blue, even black water. As your eyes scan the horizon you find yourself taking in and holding deep breaths of crisp, salty air that flows straight into your capillaries. Whenever I stand on those cliffs I like to imagine I’m in Ireland or Nova Scotia, or perhaps I’m one of Jane Austen’s heroines who has left home to travel west, and seeing the sea for the first time. It’s always thrilling. After you pull yourself away from the inspiring ocean views, the landscape drastically changes from sandy tree-lined cliffs to dense redwood forests that beckon you to stop and take in a moment of calm. 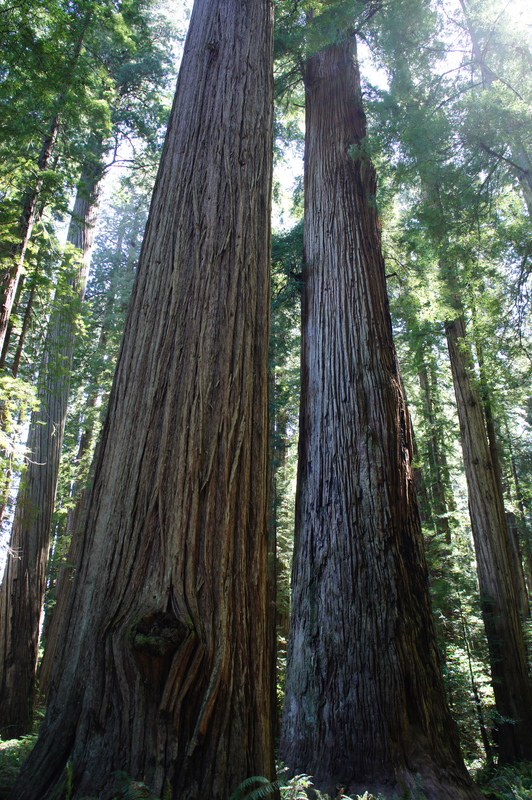 There’s something otherworldly yet welcoming about the redwoods. It’s as if they’re waiting for something. What that is I’m not exactly sure, I think it’s different for everyone. What I do know is that after I leave, I feel elated. Leaving the redwoods is difficult, but you still have a few more hours alternating ocean views with patches of forest. Then suddenly, you are at the Oregon border, where people stop to have their picture taken. This is my favorite part of driving through the border. I love the excitement in their faces as they stand in front of the Welcome to Oregon or Welcome to California sign and awkwardly have their picture taken by their mom or husband, girlfriend or grandma. I love the adventurousness of the human spirit and I think even the smallest adventures keep us young. Unlike my mom who is a young 65, Pop is an old 65. Like they say, “It’s not the years, it’s the miles.” But I think this trip helped him regain some of his youth. When he arrived he had color in his cheeks and pep in his step, despite the fact that he was exhausted after such a long drive. It was great to see him and he was awfully sweet to come up for my birthday, since I hadn’t made any friends yet and family live so far away. In return, I spoiled him with starlit nights and culinary delights. 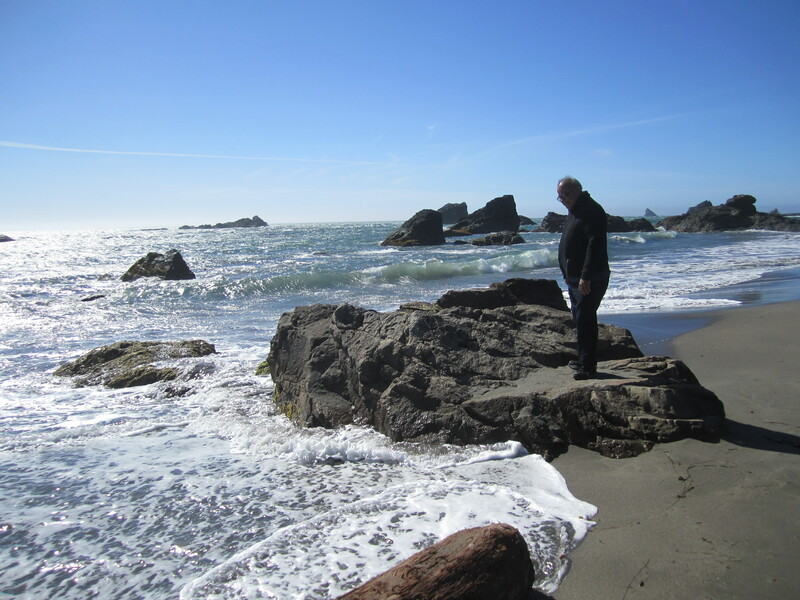 After his nap, he and I went for a long walk on the beach, which he loved, and said the landscape reminded him of Morro Bay because of the large rock formations. For dinner I made him my special – chicken potpie, which has sort-of become our favorite “guest meal.” I got the recipe from Comfort Food by Williams-Sonoma, my most favorite cookbook at the moment. After dinner, we all went outside and lit sparklers. I danced around with my sparkler while my husband watched, smiling. My dad, who is fascinated with outer space, was looking at the star-filled sky. “You know, I haven’t seen this many stars and the Milky Way Galaxy since I was a boy.” He said in wonderment. I thought it was adorable that he called the Milky Way by its proper name. As we all gazed upward, he showed us how to differentiate between a planet and a star – a star “twinkles” a planet doesn’t. When I spotted the planet Venus, he explained why this planet is brighter than any other planet or star in our galaxy – it’s partly due to the highly reflective clouds that surround it. Lying down on an old quilt, he showed me how to spot satellites in space, which I’d never done before. It’s quite simple really, you just stare for a long time in one spot, and all of a sudden you’ll see something that looks like a star moving across the sky at a steady pace. It’s crazy, as soon as you have the eye, you can spot them all over the place. “Ok…that’s a little scary.” I joked. “We’re always being watched by big brother.” Pop said, almost admiringly. Next, he attempted to explain something even scarier – Dark Matter, which is something Einstein tried to prove. I began to realize how smart my dad was on the subject of Astronomy. After all, he has been studying it for pleasure for as long as I can remember. 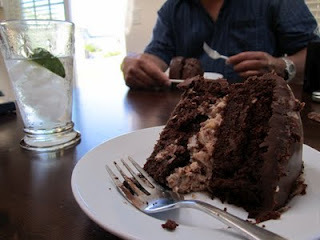 Excitedly, I listened to him explain how outer space is slowly spreading, when all of a sudden I felt just as excited for cake – so we went in. I had to make my own birthday cake this year. Growing up in the Bay Area, I’ve become spoiled on the best cakes you can buy, and I couldn’t lower myself to eat one from Fred Meyer. Instead, I found a great German chocolate cake recipe and used Scharffenberger chocolate, fresh eggs, sweet cream butter, King Arthur flour, organic pecans and coconut flakes. It was a two tier cake so I smothered the inside layer with the coconut-pecan filling and then I covered it with chocolate ganache frosting. I was a little surprised it turned out so well, as I rarely hit the culinary nail on the head on my first try. It usually takes me two or three attempts before something turns out perfect – like my creamy chicken potpie with its flaky, buttery crust. After we had our fill of German chocolate cake and ice-cold milk, Pop and I talked and played Kings Corners until after midnight. It was great to spend quality time with him. 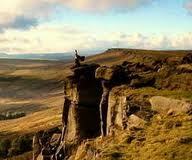 When I got tired of loosing, I told him about the adventure Tony was taking me on the following day. For my birthday, he was treating me to a kayaking trip on Lake Earl. I’d never been in a kayak before and was beyond excited about our nature quest. The next morning was a beautiful, warm summer day. After eating a healthful breakfast together and discussing the highlights of our visit Tony and I said farewell to my dad, who I could tell was excited to hit the road again. As we waved him off, I felt a little sad and melancholy, like I always do whenever I say good-bye to anyone I love. However, I had little time to wallow in nostalgia. Tony was excitedly making PB&Js and bagging up chips and a soda for our afternoon on the lake. If only I had known what was going to happen I would have brought some water and a more protein enriched meal, like roast beef on a roll! Well, it looks like I’m going back down to the East Bay tomorrow at 5am. Ugh! No, I’m all right, it’s only for a day. I’m trying something new. I’m treating it like an 8-hour workday. 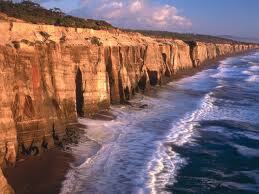 What’s 8 hours of driving along scenic HWY 101? Absolutely beautiful, that’s what! Yes, I’m being optimistic. After you hit Ukiah, it’s four lane freeways, skinny cows and crabby people driving 80mph. Still, it’s all good. I’ll show the flat, hit the sack, then hopefully head back to my Honey around 5am next day. I should be home before he gets off work. It’ll be like I never even left. The up side is I get to go shopping at all of my favorite markets and bring back fresh organic produce. Dan’s Produce here I come! Creamy avocados, plump tomatoes bursting with flavor, crisp, sweet carrots, nice hard cucumbers (at Freddy’s you can bend them into a U shape – it’s horrible), artichokes the size of a newborn baby’s head, and the sweetest oranges that CA has to offer. I can’t wait to have a gigantic glass of freshly squeezed orange juice, or as Tony calls it – “Nectar of the gods.” I’m also going to stock up my favorite olive oil – Bariani, and a dozen or so cans of San Marzano whole tomatoes so I can make a few batches of spaghetti sauce. 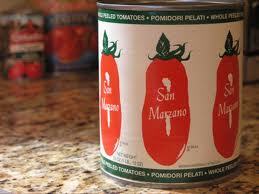 Yes, I know fresh is best, but San Marzano is like fresh Roma tomatoes without the hassle of steaming and coring. I just might pick-up a couple of artisan breads at La Farine Bakery on College Avenue and perhaps a morning bun – quiet possibly the most sinful pastry on the planet. There’s about half a cube of butter in every bun, mingling with brown sugar, cinnamon and Madagascar vanilla. 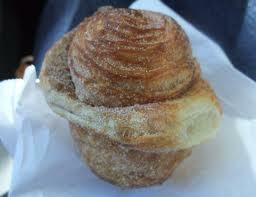 Tony and I used to fight over the warm, gooey middle. With a steaming cup of tea you feel like royalty. Success! It’s such a relief to be back home in the arms and paws of my family. 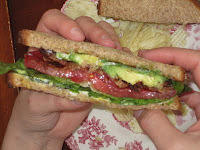 When I arrived I got all kinds of love, praise for finding amazing tenants, and my husband’s special BLTA: Bacon, lettuce, tomato and avocado sandwiches on toasted wheat. I kid you not, he makes THE BEST BLTA in the world. I think the trick is he spreads out the ingredients evenly, so that every bite has a little bit of everything. Of course using the freshest organic ingredients you can find helps. After devouring the entire sandwich, we fooled around a little then I fell into a deep, deep sleep. Yes, I know it’s bad to sleep right after you eat, but I was exhausted and back with my man and feeling quite at peace. The following day I cleaned house like crazy (what a pigsty!) and made vegetable lentil soup. I served it with freshly made rosemary focaccia bread, lightly toasted with a little butter. Heavenly. I first discovered this combination at the Beachcomber Cafe in Trinidad, CA.. How can something so easy to make be such a blessing to your very soul? Some people need a nice juicy steak and potato to feel content. I am not above this, but if I want to feed something more than my stomach, I make soup and I use a big English soupspoon when I eat it. Maybe that’s why I love the part in Amelie when she is eating soup with her father. The whole feel of that scene is both comforting and healthful. When I was nine, I made my first homemade meal for the family. Beef stew. I’ll never forget my Mom’s boyfriend Bill’s praise. It made me want to cook all the time just so I could get a father figure’s approval. The next thing I made was banana bread. To this day I wish I had that recipe, because it was the best I’ve ever baked; light and airy with a strong banana flavor and a chewy crust. I think I got it from a children’s cookbook that got lost in one of our many moves. I still make banana bread and stew. However, I use lamb instead of beef because lamb seems easier to digest. For years my husband thought he was eating beef (he’s NOT a fan of lamb), until I gave the recipe to a good friend and he hear the dreaded word. (One trick to killing lambs gamey taste is to use good quality San Marzano stewed tomatoes.) I’ve also added spaghetti sauce to my culinary repertoire. I’ll never forget when I was dating my husband he actually asked me, very casually, “Do you make your own sauce? My grandmother does and it’s the best.” I was shocked. Was this a prerequisite?! After eating her spaghetti I wanted to learn how to make my own sauce. Now I can’t even stomach jar sauce. If only people knew how easy it was to make their own, better than they can find in any “Italian” restaurant or jar. When I cook pasta for myself I make vegetarian sauces that are quick and fresh tasting – using minimal ingredients: Bariani olive oil, chopped tomato, fresh basil and De Cecco noodles. Sometimes I throw in a chopped Zucchini for fun, and then sprinkle freshly grated Parmesan cheese on top – bellissimo! When I make spaghetti for Tony I make his favorite rich, red sauce: Bariani, one big yellow onion – chopped, a few cloves of garlic, ground white turkey meat, sea salt, lots of Italian seasoning, two big cans of San Marzano crushed tomatoes, ~1 can of water and some good red wine. If we feel like spicy I add red pepper flakes, if sweet I add some agave or maple syrup. “And that’s my trick.” It needs to simmer for at least two hours, so watch The Godfather while you wait. Mama Mia! It’s amazing and so simple. 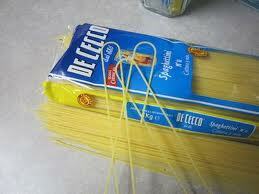 When you make spaghetti, use good quality pasta, like De Cecco – they’re pretty close to freshly made. I always freeze the leftover sauce so I can have rigatoni, manicotti, or pizza whenever I’m in the mood, which is often. Tonight, Tony is steaming the two huge artichokes I bought from Dan’s Produce (the produce stand from or old hometown) and he’s making Parmesan couscous. I made the aioli sauce using Best Foods mayo made with olive oil (it has a green lid instead of blue), freshly squeezed Meyer lemon juice and fresh ground pepper. Did I mention how good it is to be home? After our adventure to the town of Enchanted School Children and the Small Castle, we ended up not at the Torcadero but the Champs-Elysées. This was perfectly fine with us, we were in Paris who cares where we ended up. We’d built up quite an appetite wandering and happened upon a crêpe stand shaped like a tiny round house. It’s still there last time we checked in 2009. It sits at the top of the Champs-Elysées, on the outskirts of a lovely park where you can sit and eat your crêpe in peace. The park stretches all the way down the avenue and ends where the stores begin. Standing in line, anxious to order my very first French crêpe, I realized I didn’t know how to order. How do you say ham and cheese in French? It makes me laugh now because those two words are such an integral part of French cuisine. It’s like saying cheeseburger and fries in the States. After a moment, the nice middle-eastern woman in the stand faintly smiled, patiently waiting for me. I blushed and said, “Ummm, ham and cheese please.” She shook her head and went away. “I make you my favorite.” She said confidently, in good English. As I watched her smooth the thin batter over the hot disk (which reminded me of a record) with a strange wooden tool, I grew excited. She flipped it once with a long, thin metal spatula and looked at me, as if to make sure I was watching. Next, she smoothed butter on top, sprinkled extra fine sugar and then chopped up banana – at an angle, laying it neatly into one corner of the crêpe. She was good, very-very good. 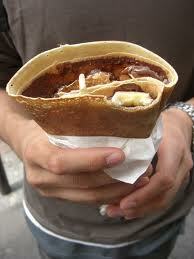 After expertly folding my crêpe, she wrapping it in crisp, white sandwich paper and handed it over to me steaming hot. The exchange reminded me of a nurse handing over a newborn baby wrapped in swaddling clothes. “Merci Beaucoup Madame.” I said smiling gratefully. Tony didn’t know how to say jambon et fromage either and ordered, “Ham and cheese.” He got ham and cheese. My first bite was crisp and buttery and full of banana flavor. It was utterly delicious. When Tony sat beside me on the park bench we took big bites out of each other’s crêpes. “UH!” He managed to say about my creation. “I know! Right? !” I said enthusiastically. His was really good too. 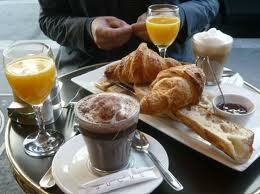 When he had finished his jambon et fromage he ordered another crêpe like mine, along with a big cappuccino. He wanted to make sure we were fueled-up for our next adventure. As we said au revoir to our crêpe lady and our park bench, I felt a little sad. It was such a great time sitting there talking, kissing and feeding the black birds crêpe crumbs; watching little Parisian children holding and eating their own crêpes without the assistance of their parents. It was a truly magical experience. As my husband walked me down the Champs-Elysées, touted as the most beautiful avenue in the world, I soon discovered why. It’s the home of Chanel, Louis Pion, Bally, Louis Vuitton, YSL, Peugeot automobiles, and Häagen-Dazs thank you very much. 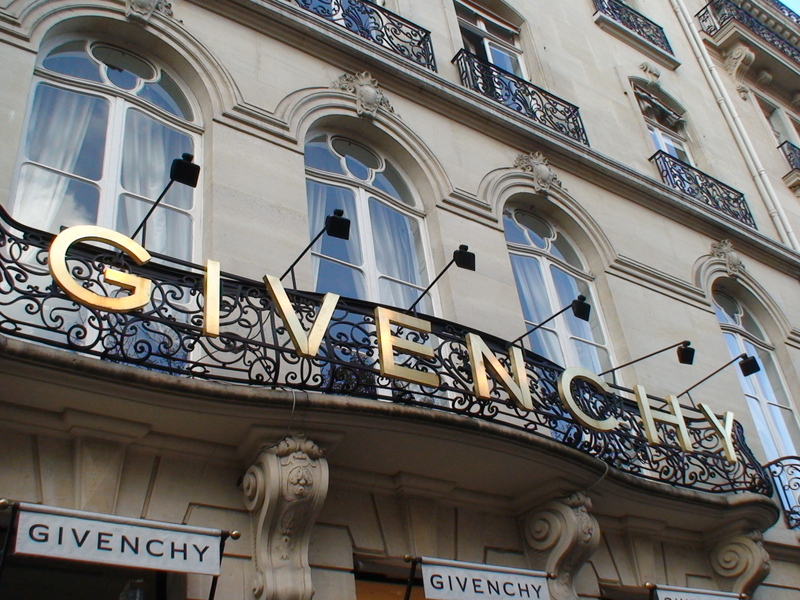 The Champs-Elysées is where the fashion houses are, where they design the most beautiful clothing, and make Haute Couture for the world over. To sum up, whatever is in fashion today comes from this very street. The trends are then imitated or hacked by mall stores brands like Ann Taylor, Banana Republic and Target. Now, I’m not a materialistic woman. By far, I’ve been wearing the same dress black shoes for almost ten years (hey, they’re good shoes). 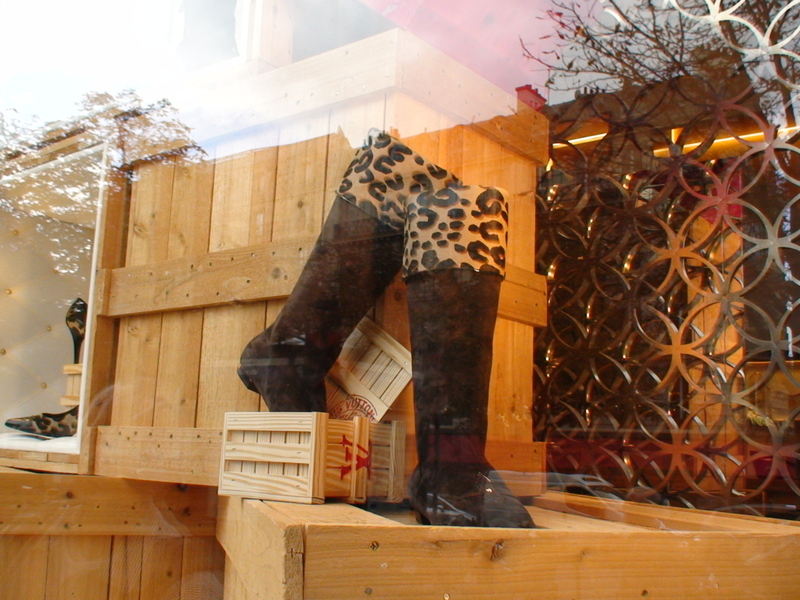 But when I walked down the Champs Elysees, devouring window displays one after the other, my heart was pounding like crazy! If this is how a woman feels when she is struck by the desire to own a soft as silk, caramel brown leather satchel by YSL then you can count me out. As I nervously walked about the YSL boutique, Tony offered to buy me anything I wanted. I bashfully declined and practically sprinted out the door. It was too rich for my blood, bordering on opulent I told him. In truth, I was afraid the same thing that happened to me at La Farine would happen again (story coming soon). Instead of expensive French pastries, it would be exquisite leather goods. No, my cloth bag from Cost Plus suited me just fine. Of course when we hit Louis Pion, a watch dazzled me there and Tony surprisingly bought it for me, which taught me a valuable lesson. Being newlyweds, we were still learning about each other, and one precious aspect about my husband is that he can refuse me nothing. If I show serious interest in something of quality, he wants to get it for me. It’s so endearing. If I were a different sort of woman however, we would be in serious financial trouble. Every step we took down the Champs-Elysées filled me with excitement. This wasn’t only due to the fact that it was buzzing with Paris fashion, beautiful people and Häagen-Dazs. 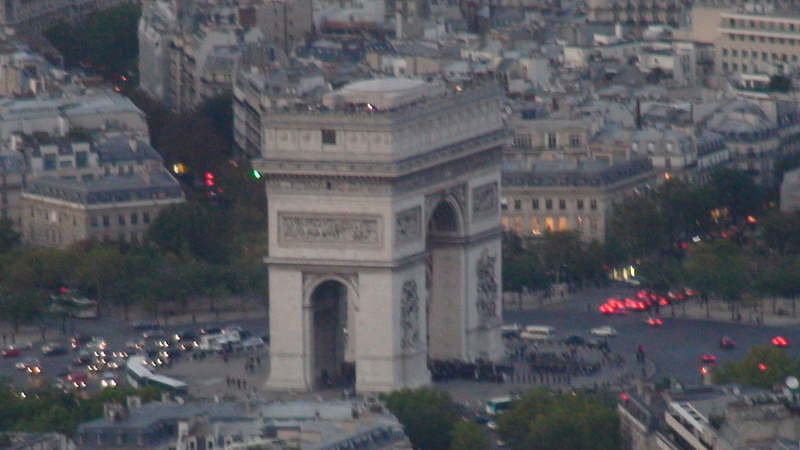 We were drawing closer and closer to my most favorite monument in the world – the Arc de Triomphe. When we finally stood across the street from the arch I became so excited that I started laughing and jumping up and down like a schoolgirl. My husband was so surprised that he started laughing too. After making a complete fool of myself and rousing the attention of others, I suddenly stopped and began to cry. As my husband held me, the other tourists walked on, confused – but my husband knew what was happening. This was the second dream that had ever come true for me, in my life. My first was to fall deeply in love with a man who would never hurt me. My second was to go to Paris and see the Arc de Triomphe with my very own eyes. 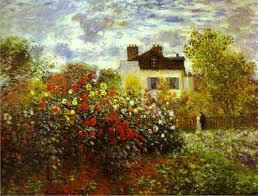 For years it seemed like a pipe dream but there I was, standing before my monument, taking in the beauty of that moment. How the Arc de Triomphe became MY monument is quite whimsical. Only six years prior, I was a single girl working for The Limited in Oakland. It was pretty mind numbing work, but it paid. One day we received a shipment of clothes and french inspired jewelry, ie: the Eiffel Tower, the Cathedral of Notre Dame, the Louvre Pyramid, etc.. In the mix were five Arc de Triomphe necklaces that hung on long silver chains. At the time I didn’t even know what monument it was, but I liked its symmetry. I bought one and wore it every single day – to work, lounging, dancing, church, everywhere. When people started asking me what it was, I felt compelled to educate myself and find out. I discovered the Arc de Triomphe honors those who fought and died for France in both the French Revolution and the wars during Napoleon’s reign. It’s also a monument to the nameless soldiers who died in WWI. Then, of course there’s the humiliating history: twice Germany marched their troops through the arch in an act of intimidation. After discovering its historical significance I grew curious about the country, which developed my love for all things French. What started out as a fashion piece became a real desire to see the Arc de Triomphe and Paris with my very own eyes, which meant traveling out of the USA, a dream I never thought I could afford. I think I wore that necklace well past the age of thirty, and when the loop that held the chain broke, my heart broke. But I had seen it, I had been to Paris and my experiences there fed my mind and my heart with even more dreams, like attending UC Berkeley at the age of thrity-three (yet another story). That night, in our shabby little hotel in Paris we slept like newlyweds, and I dreamt of croissants and crêpes…and the Arc de Triomphe. I dreamt I was standing at it’s base, gazing up at the sun, smiling. I remember feeling warm and safe, like I had triumphed myself in a way – and I had. I married a truly great man and he took me to France. Which proves, dreams really do come true. Before leaving for France one of our in-laws kindly loaned us their camcorder so we could record our trip. This was to be a thorn in my husband’s side; he hated the thing. Even thought it was documenting such a monumental trip, my first time in Europe – Paris for that matter, the most romantic city in the world! Still, he hated it. In fact, I’m not sure which he disliked more – being filmed by me or lugging it around his neck. Granted this was a 90’s camcorder, a much bulkier, heavier cousin to the ones today. Still, I blame a lot of his attitude on male training. Men are trained their whole lives to be hands-free, carrying all their necessities in their back pocket or inside of their jacket. While we women are taught as toddlers to carry some sort of purse or bag that starts out small when we’re teens, but gets bigger and bigger as we get older. I was only in my twenties and already my bag was the size of a pillowcase. Once in a while I would carry the camera in my bag, but the rope-like straps dug mercilessly into my shoulder leaving painful red marks. As I looked around at the Parisian women – nary a bag among them, I began to grow jealous of their freedom of movement and carefree attitudes. One word of advice to new travelers: Don’t carry a bag while touristing. You’ll end up picking up a bag here or there while shopping on the Champs Elysees, a Boulangerie-Patisserie or farmers market. That said, by end of day my honey was carrying the camera and several other bags. This was only our second day in Paris and he accidentally “forgot” the camcorder, so I took a ton of black and white pictures instead. After we finished our first ever street-side petit déjeuner, we walked to the Metro station, figured out how to buy tickets then hopped on the train. What a thrill! The Metro is amazing. It’s so fun, fast and easy (once you get it down) and it’s incredibly dense – there’s a station on every block it seems. Now, I can’t remember if the metro lines were numbered 1-14 in the 90’s like they are today, which makes the system easy to use. We seem to remember they were colored lines (red line, blue line, etc.) that were named after the very last stop the train would make. 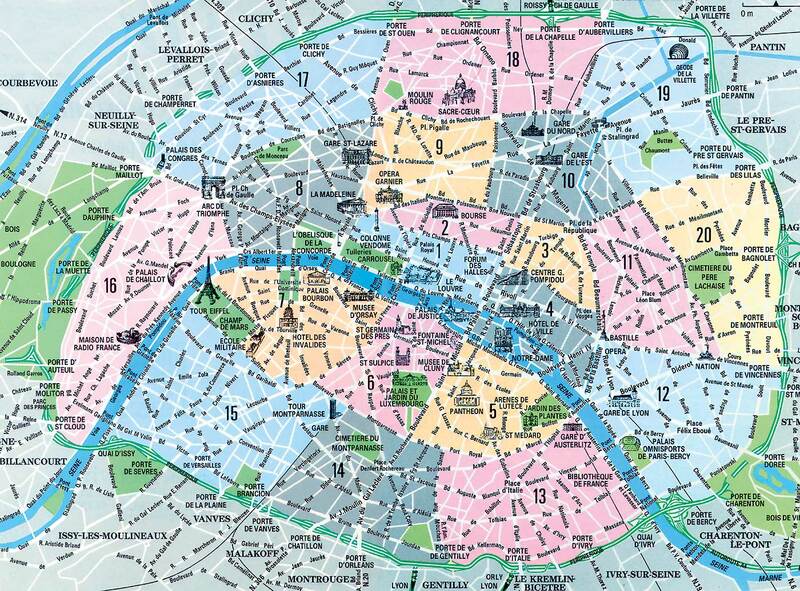 So, if you wanted to go ten blocks to the Latin Quarter you would take the purple line, Porte d’Orleans. Or if you wanted to see the Eiffel Tower via the Trocadéro like we wanted, you take the green line, Charles de Gaulle – Étoile. It makes sense now but at that time we were newbies. Plus, I was so in awe of everything I saw that I wasn’t paying much attention to where we were going, or how lost we were getting. As we walked in and out of a dozen stations, Tony was trying to solve the mysteries of le Metro, while I was struck by how old the city was. America is such a baby! You really feel that when you visit European cities for yourself. It still shocks me how American is such a world leader when it’s only 234 years old and France is ~1,000! After we walked through the Luxembourg Gardens and my husband named each sculpture we encountered (so romantic and funny), he decided he had finally figured out how to get to the Eiffel Tower via the Trocadero, so we hopped back on the Metro. This time we stayed on for about twenty minutes. As the train dipped in and out of tunnels we got a chance to sit and observe Parisians and many of Paris’ Arrondissements (districts/neighborhoods). Silently we rode along, occasionally squeezing each other’s hand, trying to fit in as much as possible. I’d rather die than be viewed as another annoying American in Paris! Besides, it was wonderful just watching everything. When we finally arrived at our supposed destination, we had to pay to get out of the station. This was curious since our tickets should have been good all over the city. There was a lovely flower stand outside of the station, with beautifully simple arrangements, and a smoke shop across the street surrounded by middle-school kids all in uniforms. The boys, who were dressed in wool navy blue vests, crisp white collard shirts tucked into navy pants, were bustling in and out of the shop. The girls were wearing wool navy cardigan sweaters with beautiful white pique blouses, and wool navy and green plaid, pleated skirts – some long, some short. I noticed the boys were all wearing sensible black leather shoes, while the girls wore black or navy opaque tights and black leather ballet flats. As we descended the sidewalk towards these children, I saw that many of them were talking intensely to each other, smoking casually, or reading by themselves. Who are these kids, I wondered? They seemed like miniature adults to me, their demeanor was so mature and confident and casual. I was dumbfounded, and staring. My husband had to pull me away from the scene and we walked up the hill. Then we saw the school, which was the shape and style of a miniature castle. It was made of old brick and stone and looked straight out of medieval times. To top it off, a dry mote with two drawbridges surrounded it. I gasped at its beauty. Now I was beginning to wonder where we were. As we read street signs and tried to find them on our Paris map, we were at a loss. Actually, we were lost completely, and loving it. This quaint, hilly town was made complete with cobblestone walls, brick houses with slate roofs, and friendly French people. Nows the time to differentiate French people from Parisians: Parisians are the people who live in Paris, while the rest of the people who live in provinces, are French. This may sound funny, but they really are two different types of people. Just as people from New York City are very different from people in say, Montauk. I am not suggesting Parisians are unfriendly because we encountered very kind souls in Paris. 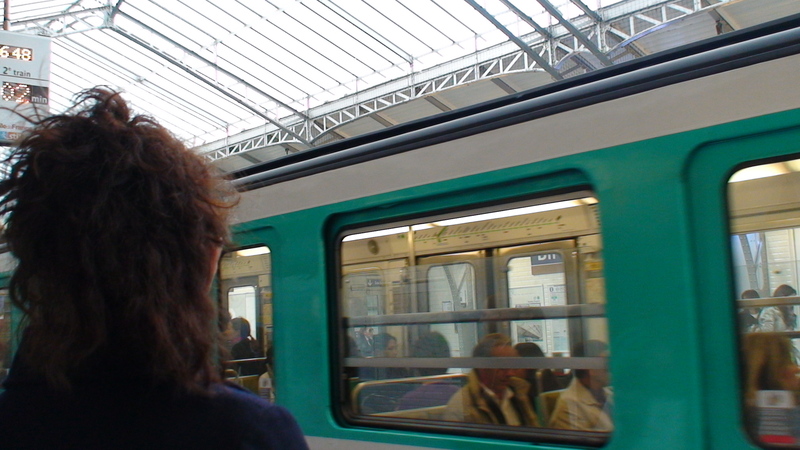 When we left Paris however, we did find people were a lot more relaxed and amiable. As we walked about the town, discussing ways in which we can retire there, we bumped into a young man on a skateboard and I asked, “Pardonne-moi, where are we on this map?” He smiled at us and apologized for not knowing any English. My husband gave it a try. This time he got the gist, took our map and pointed off to an imaginary spot. OH! We thanked him, laughing at our idiocy. We were no longer in Paris, but some town on the outskirts. Still laughing, we boarded the Metro again and made it to the Champs-Élysées where I had my first French crêpe, which, like the croissant is near impossible to imitate in the States. The French crepe ties for first place with the pains aux raisins as my most favorite edible in Paris, but we’ll save this experience for next time. I will say one last thing. To this day, my sweet husband and I don’t know the name of that town. If it sounds familiar to anyone, please enlighten me. Blast! If we had our camcorder we may have some idea…kidding. Jet lag can be the cause of many embarrassing situations. This was the first time I’d ever experienced such extreme exhaustion. My brain was fried, eyes felt like they were sewn shut and my limbs completely refused to cooperate. When I heard banging on our door I actually thought the house was on fire. I fell out of bed, ran unsteadily to the door, fumbled with the knob and flung it open. “What’s wrong? !” I asked breathlessly, with shut eyelids. “Oh, pardon Mademoiselle.” The voice said. Pause. “D’accord, quoi?” I asked, finally able to blink and then I realized that I was very much naked. I quickly stood behind the door and the young man began to explain that we agreed to change rooms after one night, and those who reserved our room in advance were waiting in the lobby. Like that, I was awake. After apologizing a few times I told him, “Cinq minutes.” Then I slammed the door, which woke my husband up. He was asleep through my entire transaction with the bellboy, so I never mentioned it (until today). As we scurried to the first floor with our belongings, and into a room that was rather shabby and three times smaller, we knew our day was to be dedicated to finding another hotel; but first a shower, wait, no shower. This is when I learned what en suite means. Many hotels in Paris have rooms without bathtubs or showers (which were even rarer then). Instead there is a sink with a mirror, a toilet and something that looks very much like a sink for a small person, called a bidet. Now, I can see why Americans think the bidet, pronounced ‘bid-day,’ is strange but really they are quiet practical. In truth, I fell in love with the bidet. After a quick freshening-up we snuck out of the hotel, then hit the very first cafe we saw, which was a beautiful (open) site and ordered the works: jus d’orange, the (tea), cafe au lait, croissants, pains aux raisins – all in English so it took a while. Our waitress was a lovely, patient girl with a ready smile who must have sensed my excitement, and that I wanted to learn as much French as possible. Or perhaps she enjoyed looking into my husband’s beautiful, green gypsy eyes, his dark hair loosely slicked back, his left ankle resting on his right knee, those tattered leather shoes – a smoldering mystery, as he peacefully smoked his cigarette. In any case, she taught us how to order with perfect pronunciation. I’ll never forget that first croissant. Back home I was never a fan. The ones I’d encountered were either bland and greasy or stale and tasteless. 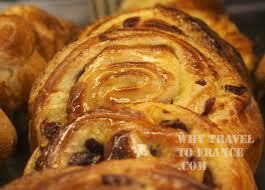 A croissant from France however, is a thing of beauty. It’s not just the fact that they’re buttery and flaky and airy inside; they taste different there. As I ate my croissant with the tiny dish of berry jam, pulling out the slightly chewy center, savoring the painstaking layers, I finally understood what all the fuss was about. Just as the San Francisco Bay Area can rightly boast having the best sourdough bread in the world (it’s has something to do with the salt air), France has got dibs on the croissant. Of course we all know this, as much as the fact that Parisians are famous for their confidence and great sense of style. Our waitress for instance could have been a Vogue model, but she seemed to care little about her appearance, since her hair was quite messy. I was in awe of this phenomenon all over Paris. It didn’t matter how a woman was dressed or how old they were. They could be plain or beautiful, thin or curvy, dark or light, with or without make-up (mostly without), dressed up or down. Parisians have an alluring confidence that struck me. As a shy woman in her twenties, I was taking mental note. 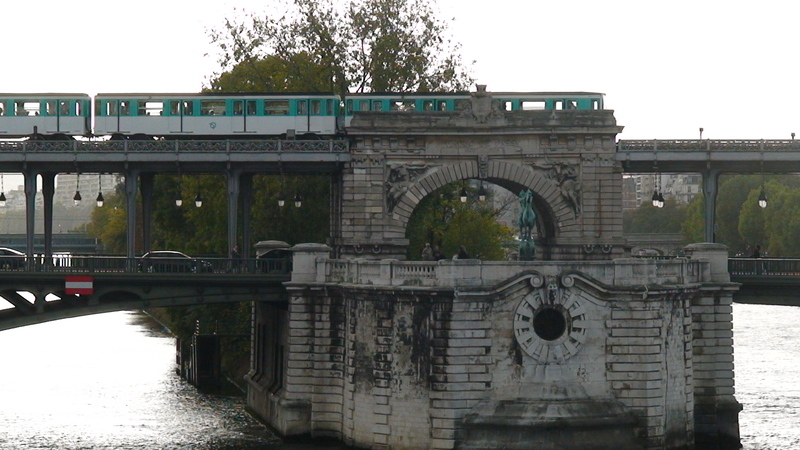 While I enjoyed my breakfast and our surroundings, Tony poured over a map of the city and decided we would take the Metro, Paris’ rapid transit to the Trocadéro. This is the site of the Palais de Chaillot, in the 16th arrondissement, across the River Seine and the best way to approach the Eiffel Tower. I thought that since my husband had been to Paris before, he knew the ins-and-outs of the Metro; I was wrong. So began our next adventure. 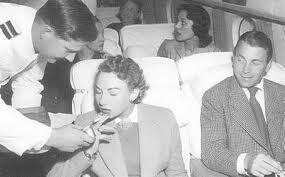 Another reason I was feeling good, despite the fact that my tendrils of long brown hair smelled of cigarette butts, was that we were able to sleep during most the flight – thanks to Valium. Still, it was so smoky in the cabin that we had to lay damp bandanas on our faces while we slept. Once, when I got up to use le toilette, I rinsed out my bandana and light brown liquid squeezed out. No joke. Now of course smoking is no longer allowed on international flights, but this was 1996; before ten year-olds were writing reports on the evils of second-hand smoke. In a way, all that smoking on the plane prepared me for how it was going to be in Paris, because Parisians smoke anytime, anywhere, anyhow: In quaint little cafes, swanky restaurants, le Louvre Musée – even in elevators, which are small closets. It’s wildly amusing. Another good piece of advice that I got from that travel article, was to change your clothes from the comfy ones you wore on the plane to smart, weather appropriate attire. This I did not do, but wished I had. I was fine when we landed, went through customs and retrieved our luggage, because I was excited and it was warm inside. When we stepped outside and hopped into the taxi however, I realized how foolishly I’d packed. I was a California girl who’d never set a toenail out of the United States and I’d only been out of state twice. The summer I turned fifteen, I accompanied my mom to a family reunion in Missouri; she was to meet her father for the first time, he never showed. The other time, I was twenty-one and flew to Texas for a two-day pharmaceutical convention on behalf of my boss; no fun either. All my life I heard the term Indian summer – October was when temperatures rose to their highest. Now I was in Northern France in October to celebrate our one-year wedding anniversary, and I was freezing. With chattering teeth I asked our taxi driver if he could turn up the heater, “s’il vous plaît,” but he didn’t seem to understand me. My husband gave it a shot and the man nodded and cranked the heat. This was to happen the entire two weeks we were in France. I, who knew very little French (only a handful of phrases I learned in Let’s Go Paris), but more than my husband, was rarely understood. While my husband, who lived in Rouen (where Joan d’Arc was burned) during the summers with his father, never tried to speak French other than, “Je ne sais pas,” “Non,” and “Whea,” all with attitude and an irreverent tone of voice, yet he always got results. He had it down pat – the whole Parisian attitude, and I loved it. I was too humble to ever force myself on anyone, and lacked the confidence my husband acquired as a man of the world. Instead I was overly friendly, eager to learn, and genuinely in awe of the people and the country. After a few days of this, those we encountered on a daily basis began to melt, and my husband watched in wonder as I charmed the crankiest Parisians into giving me whatever I wanted, even directions – en Anglais. Our first two days in Paris were a Noir-ish blur. Week’s prior, I responsibly reserved a room for our first couple of nights. I figured if we didn’t like the hotel, we could upgrade somewhere else (which is exactly what we did). Classic scenario: When we clamored into the hotel from the airport, they didn’t have our reservation. “Je suis desole Monsieur et Mademoiselle.” Luckily, I had the name of the person I spoke with so they relented, giving us the only room they had left, which normally cost 500 francs ($100 American) at the rate I was quoted – 250 francs. Sweet! The concierge kept saying something over and over to us en Français, but we were so tired we just nodded in agreement without understanding. Our room was on the 5th floor, and after trying to cram ourselves into le petit elevator like sardines, my husband sent me up alone with the luggage while he hoofed it up the stairs. We both made it to the 5th floor about the same time. After sloppily unpacking all over the room, we took long needed showers then, instead of heading out to explore Paris, we fell asleep in each other’s arms. It was 3pm but it felt like 3am, and no one ever advised us to adapt to the current time zone NO MATTER WHAT. So we slept…until 2am. When we awoke, our stomachs were growling ferociously. We were like vampires in serious need of blood. So, after putting on almost every article of clothing I brought, and my husband his fedora, we headed out in search of food. I had in hand the names of two restaurants that were open late, according to Let’s Go Paris. We were staying in the 2nd arrondissement, which was one of the “cheaper” districts in Paris that’s still within walking distance to many of the sights. What we found was a bistro that was vaguely styled after a 1950’s American diner. We laughed at the irony. Inside were several finely dressed couples quietly huddling around their tables. They must have come from l’Opéra de Paris Garnier, which was near by. The jukebox was playing an odd combination of American jazz and 80’s hits, and the only food being served was alcohol. “We’ll have two chocolate milkshakes?” I ordered uncertainly. Our server just looked at me and then walked away. What she brought was literally chocolate milk shaken-up and poured into two small fluted glasses. As we laughed over our first Paris meal and our nighttime adventure, I started to shiver from cold and excitement. Our waitress must have noticed, because she came over and asked if we wanted something to warm us up, or at least that’s what we deduced. “That would be great,” my husband said nodding. She brought us two half-filled glasses of whisky. Now I was warm. Two more whisky shots and we were back at our hotel, breathless and feeling giddy. After we played around a little we fell asleep, two lovers in Paris. Only to awaken three hours later to the angry yells of the Concierge. “Go! You must go! Remember?” He managed to say en Anglais. “Wha? Why?” My husband said sleepily into the phone. “You move to room you reserve!” He said angrily. “OH, Deco,” (or d’accord, which means OK) my husband said, still asleep. “What did he say?” I murmured from beneath my pillow. He never answered, and we fell back into a deep sleep. "Hmmm, I smell chicken, no...TURKEY." I know that I’ve been away from home for too long because the boys are starting to go crazy. Their schedules are all out of whack. Normally our days consist of writing and cleaning, cooking and crafting, a walk on the beach or we’ll run around the house chasing each other until Mick can’t stop barking. Then their Papa comes home and it’s a love fest, followed by dinner and a movie on the couch. These days they’ve been alone pretty much all day while I work on one of the rentals. When I see them for the first time all day it’s almost dark, I make dinner, go for a short walk (if their lucky), maybe squeeze in some crocheting (if I’m lucky), then bam – sleep. So yesterday, they went on strike. Together they decided to bark ALL DAY LONG while I was at work. The neighbor called it, “incessant barking.” So today I tried something that many people I know will think is utterly ridiculous. For $5.99 I bought The Adventures of Milo and Otis and I played it on repeat for the boys while I was gone. When I got home the neighbor said they didn’t bark at all. In fact, she thought I took them with me. When I worked for UC Berkeley, I knew a lady named Lola who had a cat named Emiliano. Lola would play “cat movies” for Emiliano while she was at work. She told me that her cat loved them. “How do you know he loves them?” I asked her. Lola explained that her furry man wouldn’t scratch up the furniture, however if she forgot to play Emiliano his cat movies, there would be new snags on her silk comforter and scratches on her suede couch. In truth, I never really believed it. I’m a believer now. 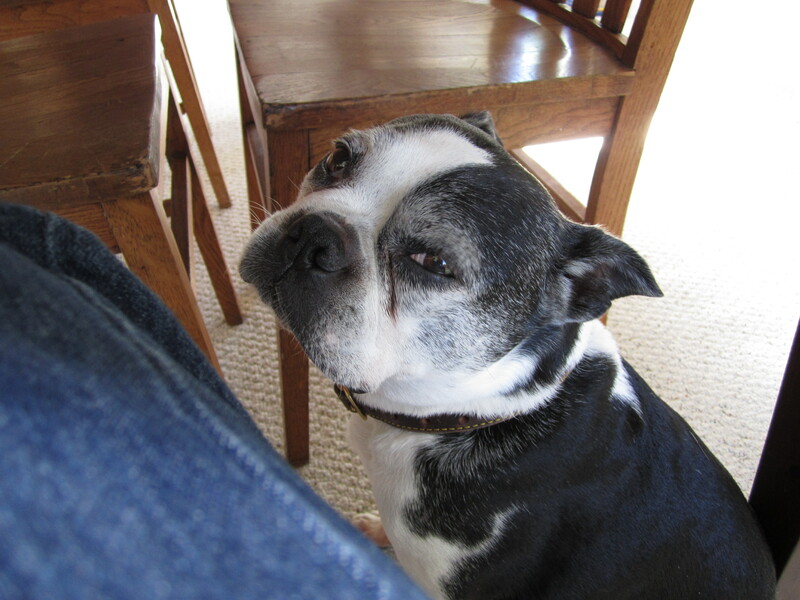 It makes me wonder…what have we done to make these animals so…spoiled? Then I remember all of the unconditional love they give, how they make us laugh, how they lower our blood pressure and we theirs. 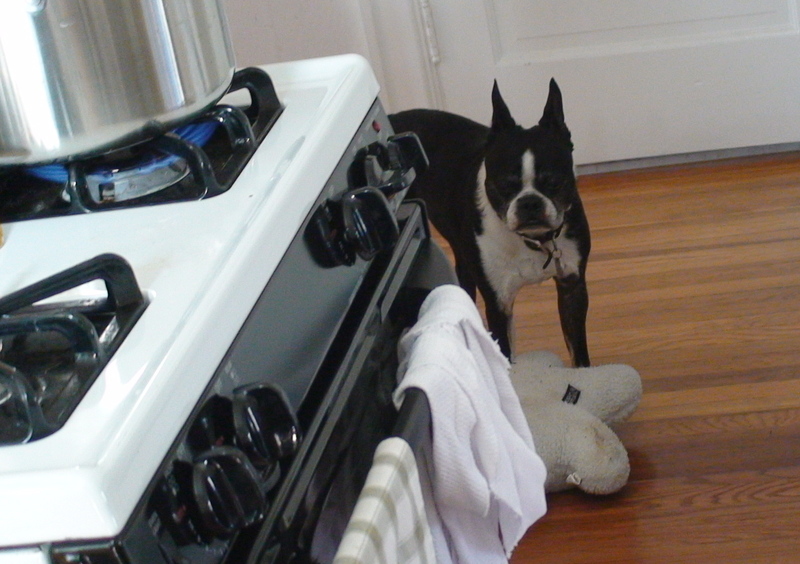 I think of how Sailor stands near me in the kitchen while I cook at all hours of the day and night, without fail. How right at this moment Mick is laying under the table at my feel, on the wood floor when there is a plush rug just inches away. Then I think to myself, I bet they’d love The Adventures of Lassy! The other evening, our neighbor’s ten year-old daughter came by to give us a couple of cupcakes she made that afternoon. I’ve been teaching her how to crochet and gave her a skein of thick blue yarn and a big 6mm hook for beginners. She’s making a hat. When she walked in Tony and I were sitting at the dining room table – me at the computer, writing and he next to me, drawing. We had the dim chandelier light on, candles burning, Davis and Coltrane playing softly, and a warm fire flickering. The boys were lying near the fire with bulging bellies, panting. We must have made quite a picture. As she walked over to my chair and stood next to me, I could see her face was taking everything in. Then she asked, “Is this what you guys do every night?” I giggled and Tony told her that sometimes we watch a movie, but we don’t have T.V., so mostly we read or write, go for walks, talk, play with the boys, normal stuff. As she looked around blinking peacefully, I could remember being her age and taking note of such things. Moods. How normal couples are with each other, what they do. It made me smile. My brother picked me up (for the LAST time I told myself) in his Datsun 280-Z and together we zoomed over the Bay Bridge to purchase my new set of wings. Once we hit Angel Island we drove around the military parking structure – lost for a while, and then I saw him, the Naval Officer. He was standing next to my car, and it was cuter than I ever imagined! An uncontrollable squeal passed through my lips. I looked at my brother excitedly, but he just said, “Rae be cool.” Between his teeth. 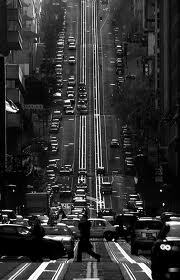 California Street in San Francisco..."gulp!" After my brother looked under the hood and drove around the parking lot, he gave us the thumbs-up. I stood shaking as I handed him my money, “Will you take $800?” I smiled, blinking innocently. One side of his mouth went up, “Sure. But promise to take good care of her.” I nodded, afraid to speak. I could feel another squeal building up in my throat. He took my hard earned cash, we signed the pink slip, shook hands (ouch) and he was gone. I couldn’t believe how easy it was to buy such a big item. “Dude, it’s a manual transmission, a stick shift.” My brother said and started laughing, wickedly. I began to sweat. My mom’s Toyota was an automatic; I’d never driven a stick before. I must have turned bright red because my brother quickly said he would teach me. “Where?” I asked. “We’ll drive around the City together until you feel comfortable enough to drive home alone.” He said, reassuringly. I was still sweating, but it was my brother who taught me how to drive a manual. Besides, how hard could it be? Like the time I was nine, sleeping peacefully in bed when I heard a muffled, “Rae. Rae, wake up.” When I opened my eyes I was nose to nose with the devil’s skull, or Peter wearing a Halloween skull mask, complete with dark, hollow eyes, white boney features and black sackcloth. I screamed, and then I fainted. He was nice enough to shake me conscience, and was holding the mask in his hands when I awoke. I think he let me strike him, then he apologized and his eyes were sincere so I forgave him. He can’t help it, he’s a boy I thought, plus I always knew that deep down my brother truly loved me. He just had a hard time showing it in healthy ways…like now. As we drove UP UP UP California in first gear, then second, I could feel all the weight of the car pulling me backwards, it was a horrible feeling. Also, I saw cars building up behind me, and the car directly behind me was a shiny black limousine. “PETER!” I screamed, looking in my rear view mirror. He looked back and his smile went away. Long story short, I must have burned 1/2 ” of rubber off of my tires that day, but I mastered California and I became an exceptional parallel parker. As I followed my brother back over the Bay Bridge I blinked my lights at him in gratitude. When he took his exit off of the freeway I kept going. 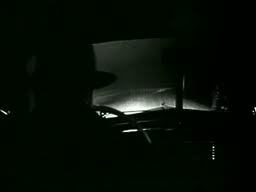 I was alone, in my own car, destination unknown. I began to weep, then I quickly stopped because I didn’t want to crash my new car. I thanked God for protecting my brother and me while we terrorized our fellow drivers. 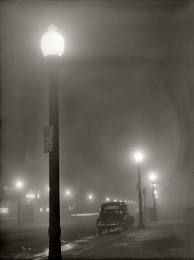 I drove all around the beautiful city of Oakland – Piedmont, Montclair, Rockridge, Broadway then Jack London Square. I parked in the staff parking lot and ran into work to show my best friend, Keith, my new set of wheels. “Dude! Awesome!” He said excitedly. I told him the whole story and we both laughed.